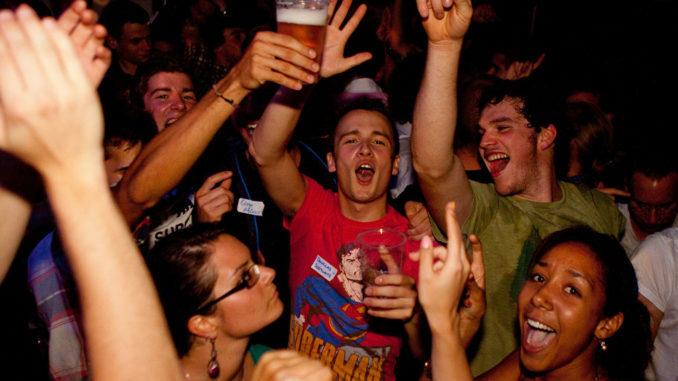 The personality you display in public when you are drunk is actually the real you, a new study has concluded. According to this study by the Association for Psychological Science, published in Sage Journals, the only thing people can “blame on the booze” is projectile vomiting and feeling hungover the next day. Yourtango.com reports: Does alcohol really turn us into different people? Or, does it merely lower our inhibitions enough to actually be our realist, truest, most honest selves? Is the “drunk you” really the most “real you” you can be? We all want to think we’re a better person than we actually are. So it’s really no surprise how often we jump on the “blame it on alcohol” train when we do something stupid when we’ve been drinking. Ah. Blaming your poor behavior on something outside of yourself. It’s a tale as old as time. “But I was drunk!” Is used as an excuse for everything from silly and embarrassing behaviors like dancing on tables and taking your top off to promiscuous behavior. Everyone wants to think that their “drunk self” or their “drunk personality” is profoundly different than their “sober self” — but is it really? 1. You think you’re different when you’re drunk, but you’re not THAT different. 2. You ARE more sociable. In the study, the “raters” (the friends that were sober and trained), did observe that while their peers did not seem different in regard to their personalities; they DID seem different in their level of extrovertism (they were way more outgoing and sociable). So, perhaps if you’re an “ultra-introvert”, you’re personality is slightly affected by being drunk, but still not as much as you think. While these finding are by no means conclusive to whether or not “drunk you” is the “real you”, they do seem to shed some light on the fact that these two assumed “sides” to your personality may not be as far away from each other as previously thought. Is it possible that you’re more “you” when you’re drunk? Clearly our ability to think clearly and to control our emotions our affected by large quantities of alcohol — but do these things make us completely different people? Or is this new ability to express your emotions and thoughts so eagerly make you more “you” than you are sober? Personally, I’m uncomfortable answering this question conclusively since even the research doesn’t seem 100% conclusive. Although, it does seem relatively clear that personality isn’t affected much and, on a personal level, I at least don’t think you’re different enough when you’re drunk to blame social faux pas on booze. I mean, seriously? Take some responsibility and grow up.